Porous burners emit due to the extremely high surface temperature more infrared radiation than conventional radiation burners. 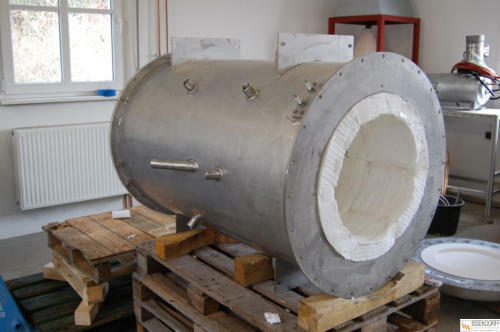 As the heat transfer through thermal radiation is higly efficient, porous burner are the ideal solution for applications which necessitate fast and homogeneous heating. Porous burners can be designed to comply with customer requirements and are therefore suitable for a wide range of applications. The utilization of porous burners increases productivity and quality while simultaneously reducing the specific energy consumption. The excellent controllability of porous burnes increases the efficiency of production plants and reduces the CO- nd NOx-emissions. Problems that might result from high exhaust gas velocities, when conventional combustion technologies are applied, can be avoided. Porous burners can be operated with natural gas, LNG, biogas, methane, ethane, propane, butane, weak gas and hydrogen/methane mixtures.